EMF » Adding “insult to Injury” – The Effect of fresh and aged blood to oxygenation metabolisms and organ function in a clinically relevant trauma/sepsis model. Emergency Medicine Foundation > Projects > Queensland > Adding “insult to Injury” – The Effect of fresh and aged blood to oxygenation metabolisms and organ function in a clinically relevant trauma/sepsis model. Adding “insult to Injury” – The Effect of fresh and aged blood to oxygenation metabolisms and organ function in a clinically relevant trauma/sepsis model. 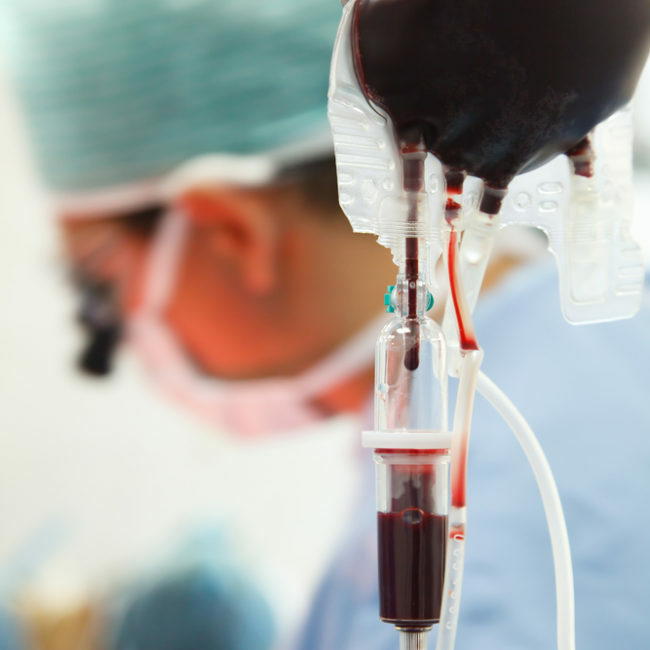 Does age of the transfused blood matter in acutely ill patients with trauma and infection? The World Health Organization reports that trauma will be the major contributor to the 49.7 million annual deaths globally from non–communicable disease in 2020. Trauma and sepsis are the two leading causes of death worldwide. This project aims to examine the effects of trauma and severe infection on oxygen supply to various tissues and organs. We will study what infection does to metabolism and the degree of inflammation in these tissues. The effects of resuscitation on these tissue parameters while using stored and fresh blood will also be studied. This project had initially aimed to investigate changes associated with the development of shock and inflammation associated with trauma and haemorrhage. However, due to difficulties with developing a working animal model, this was changed to looking at shock and inflammation associated with sepsis. The team was successful in developing a ‘two-hit’ ovine model of inflammation (endotoxaemia) and shock, followed by packed red blood cell transfusion, with monitoring at systemic and organ levels. Using this model, the team produced new knowledge on the effects of severe infection on oxygen supply to various tissues and organs; what infection does to metabolism and inflammation in these tissues; as well as the effects of resuscitation using stored and fresh blood on these tissue parameters. Further research papers outlining these results are pending. •	van Zyl N., Milford E.M., Diab S., Dunster K., McGiffin P., Rayner S.G., Staib A., Reade M.C., Fraser J.F., “ctivation of the protein C pathway and endothelial glycocalyx shedding is associated with coagulopathy in an ovine model of trauma and haemorrhage”, J Trauma Acute Care Surg, 2016; 81(4):674-684. doi: 10.1097/TA.0000000000001190. •	Obonyo N. G., Fanning J. P., Ng A.S. Y., Pimenta L. P., Shekar K., Platts D. G., Maitland K. and Fraser J. F., “Effects of volume resuscitation on the microcirculation in animal models of lipopolysaccharide sepsis: a systematic review. Intensive Care Medicine Experimental”,2016; 4 1: 1-16. doi:10.1186/s40635-016-0112-3. •	van Zyl, N., Reade, M.C. and Fraser, J.F., “Experimental Animal Models of Traumatic Coagulopathy: A Systematic Review”, Shock, 2015;44(1):16-24. doi: 10.1097/SHK.0000000000000372. •	Oral: Obonyo N., Byrne L., Diab S., Passmore M., Dunster K., Boon A.C., Fauzi M.H., Tung J.P., Van Haren F., Maitland K., Anstey C., Shekar K., Fraser J.F., “RESUS after FEAST: A post-clinical study”, ANZICS Clinical Trials Group 19th Annual Meeting on Clinical Trials in Intensive Care, March, 2017. Noosa. •	Poster: Bryne L., Obonyo N., See Hoe L., Passmore M., Boon A.C., Pedersen S., Esguerra A., Tung J.-P., Cullen L., Shekar K., Fraser J.F., “Fluid resuscitation does not alter plasma cytokine levels but leads to a deterioration of vasodilatory shock in ovine endotoxemia”, The Prince Charles Hospital Foundation Annual Research Forum, October 2016. •	Oral: Byrne L., Obonyo N., Diab S., Passmore M., Dunster K., Boon A.C., Tung J.P., Shekar K., Cullen L., Maitland K., Fraser J.F., “Fluid resuscitation and blood transfusion result in higher vasopressor requirements in an ovine model of endotoxemic shock”, The Prince Charles Hospital Annual Health Discoveries Forum, November 2015. Brisbane, Australia. •	Oral: Byrne L., Diab S., Passmore M., Dunster K., Boon A.C., Fauzi M.H., Tung J.P., Van Haren F., Obonyo N., Maitland K., Anstey C., Shekar K., Fraser J.F., “Septic Shock Does Not Impair Cardiac, Renal or Cerebral Oxidative Metabolism But May Impair Splanchnic Metabolism in an Ovine Model of Supported Endotoxaemic Shock”, Australia and New Zealand Intensive Care Society (ANZICS) / Australian College of Critical Care Nurses (ACCCN) Intensive Care Annual Scientific Meeting, October 2015, Auckland, New Zealand. •	Poster: “Septic shock does not impair cardiac, renal or cerebral oxidative metabolism but may impair splanchnic metabolism in an ovine model of supported endotoxemic shock”, The Prince Charles Hospital Foundation Annual Research Forum, October 2015. •	Poster: Milford E.M., Simonova G., Tung J.P., Reade M.C., Fraser J.F., “The development of a cryopreserved sheep red blood cell protocol for use in sheep models of trauma”, Remote Damage Control Resuscitation Symposium, June 2015, Bergen, Norway. •	Poster: van Zyl N.,Milford E., DiabS., Dunster K., Reade M., Fraser J., Staib A., “Acute traumatic coagulopathy in an ovine model of trauma and haemorrhage”, 31st Annual Scientific Meeting of the Australasian College for Emergency Medicine, December 2014, Melbourne, Australia.